Long ago on an Island named O'ahu known as "The Gathering Place" a small girl child grew up. Blessed with the golden sunshine and crystal blue waters...This small girl child became Shalimar, who is a natural~born Psychic, Intuitive and Medium. Shalimar has been Clairaudient from the beginning ~ which means "hearing spirit" ~ as well as Clairsentient "sensing spirit". Theses are but a few gifts she grew up with. 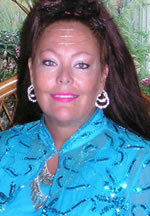 Shalimar is internationally known as an Intuitive Reader...A True 21st Century Spiritual Alchemist. For those of you new to the spiritual life, Shalimar is here to help you connect with the All Powerful, All Compassionate, All Knowing Self within. For Older Souls, Shalimar is here as a reminder. You see, she believes that the Universe takes you where you need to go and who shares your extraordinary life. At the tender age of 20 (after graduating from Uni) she traveled with a 1 way plane ticket to Australia where she welcomed and embraced the many changes living a spiritual life brought to her. Meeting and learning different methods of beliefs and ways of teaching, healing and serving with the highest intention from Romanian Gypsies, Aborigines, Maori's from New Zealand and many more. Traveling thru Singapore, Penang to Kuala Lumpur Malaysia, Bangladesh, Hong Kong to Kathmandu. Riding elephants to camels. All of these life experiences have allowed her to evolve into the woman she is today. If you want an honest and straight forward Psychic ~ Soothsayer ~ Adviser who relies on her strong extra sensory abilities, while using her life experiences to give you the answers you seek during your inspiring reading......contact Lady Shalimar today. You see.....Shalimar believes it is all about you - your energy - your empowerment - spiritual growth and healing. Get what you need to make changes and create the life you want....Call today!!  Energy/Mediumship ~ crossing over as voices/visual images ~ sensing and communicating with your higher consciousnesses.  S.O.L.F.A. Sound Therapy - The Healing force of Harmonic Sounds & Vibrations of the Ancient Solfeggio thru Planetary Tuning Forks.  Certified Master Kuan Yin, Magnified Healing, Teacher & Spiritual Counselor who has worked in the spiritual fleld since the early 80's.  Shalimar is a Licensed Psychic in Salem Mass and is Reading on Salem Massachusetts famed Essex Street...presently at OMEN of Salem. She has also read at Diana's Salem Psychic Center on Pickering Wharf and Crow Haven Corner for Laurie Cabot, Salem's first Witch Shoppe. â¢â¢ Shalimar is a Licensed Psychic in Salem Mass and is Reading on Salem Massachusetts famed Essex Street...presently at OMEN of Salem. She has also read at Diana's Salem Psychic Center - Crystal Moon both on Pickering Wharf and Crow Haven Corner for Laurie Cabot, Salem's first Witch Shoppe.  Ordained Minister of the Universal Life Church Monastery. Licensed to perform Marriages, baptisms & funerals.  Media Appearances: Shalimar has been featured on Travel Channels & Discovery Channel. â¢â¢ Resident Psychic for Souhegan Paranormal Investigators in partnership with Synergy Paranormal Institute, Boston Mass. Shalimar is unavailable ... but you can arrange a call back!